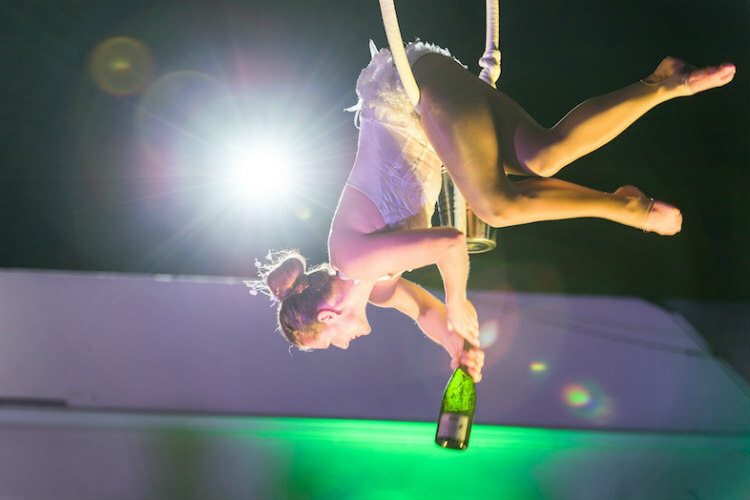 Circus, burlesque style! 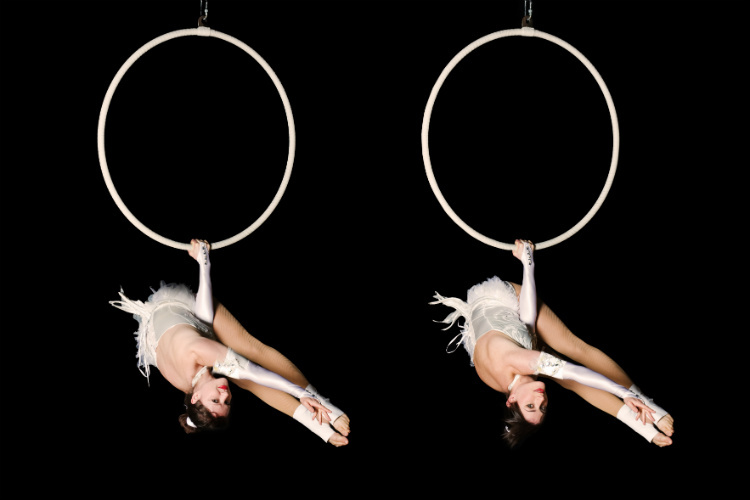 This gorgeous aerial hoops duet combines stunning aerial skills with a touch of tease. The Gold Showgirls provide glamorous entertainment for any event. 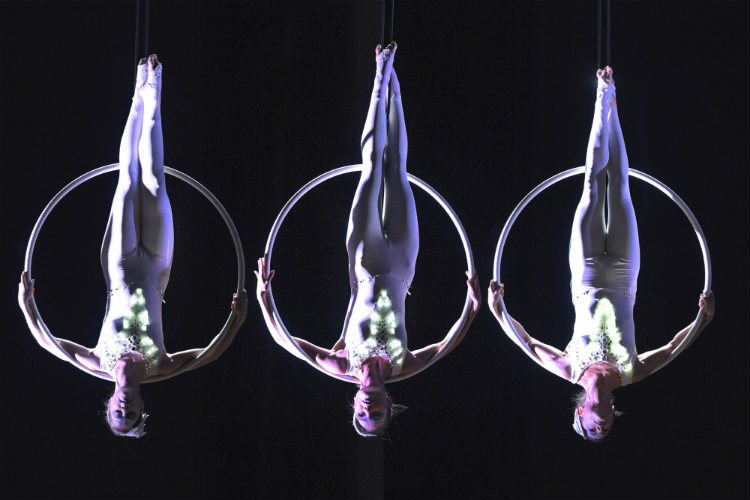 The Gold Showgirls is a burlesque themed aerial act in beautiful gold costumes and matching gold hoops! 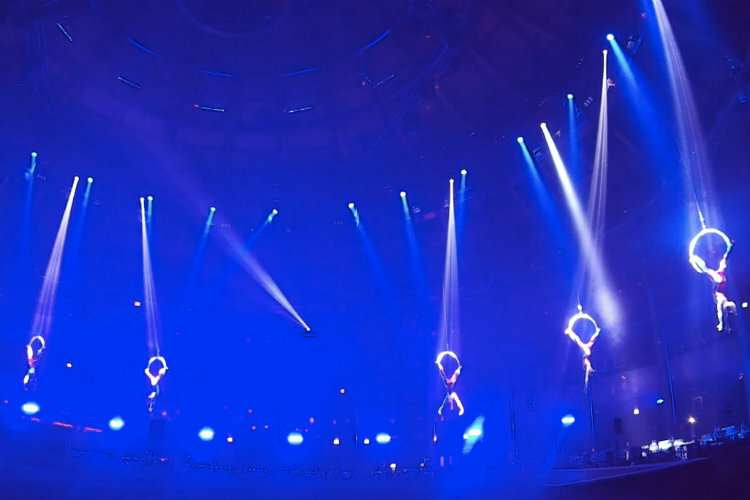 The act is performed on a freestanding areal rig. The girls can also perform in these outfits as a walkabout act. 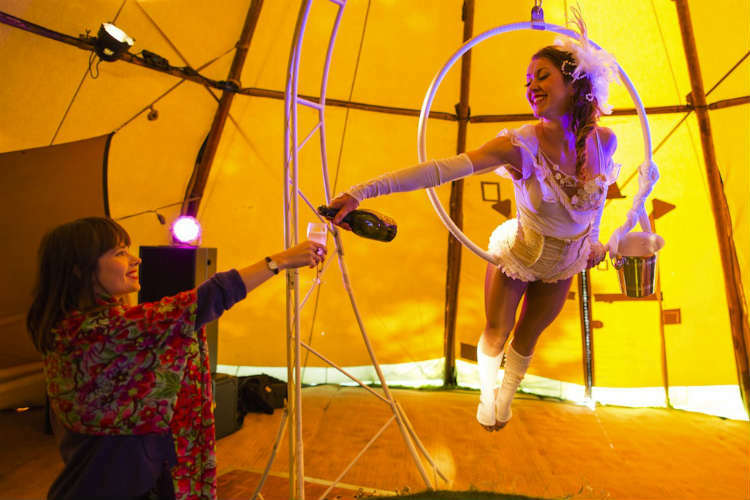 Length of Performance: The act is approximately 7-8 minutes and can be performed in a combination with hula hooping and hangabout.